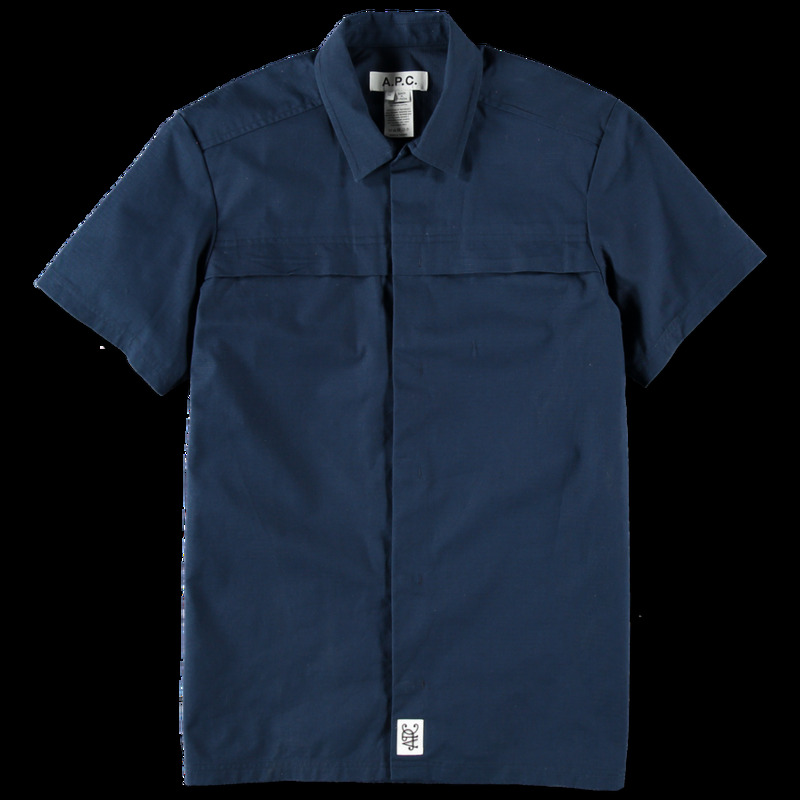 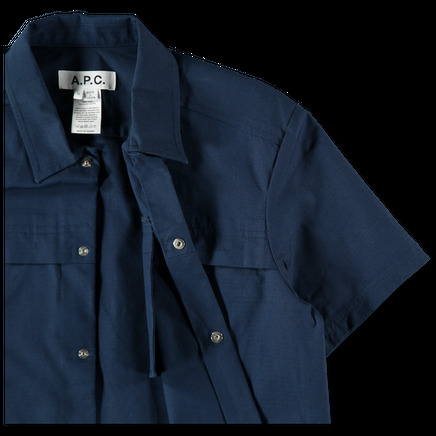 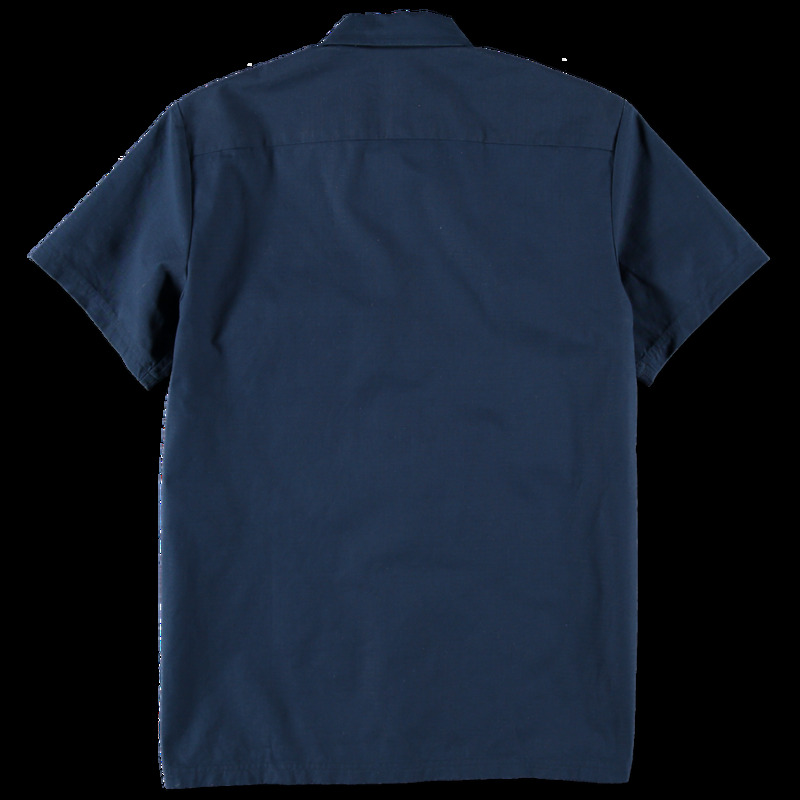 Regular fit short sleeve shirt in a cotton ripstop fabric. 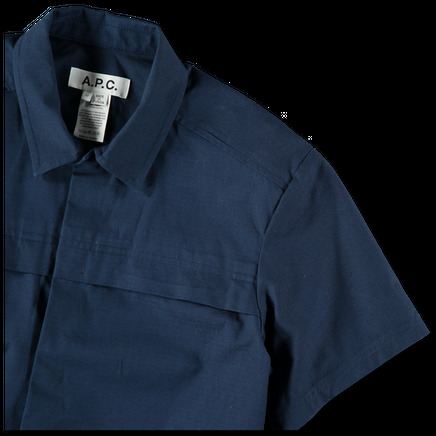 Concealed snap button placket and double chest pockets. 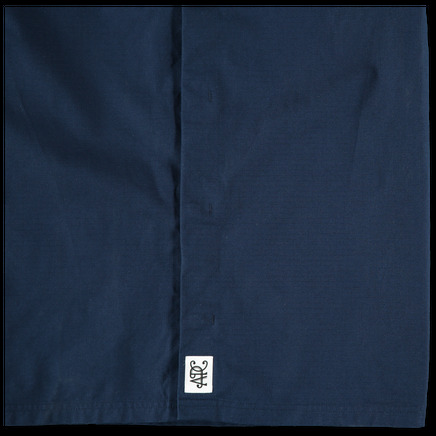 Straight hem and woven logo.